Posted on December 18, 2018 by Shawn Nygaard. "The 6th House: With Twilight As My Guide"
In Greek mythology, Hades is the ruler of the Underworld. When a person died, it was said their soul descended into and would reside in the Underworld. Thus, the Underworld is a realm of soul (psyche) and a realm of depth, well-suited for archetypal exploration. The Romans named the god of the Underworld Pluto, which means “riches.” As ancient coins were minted from precious metals under the ground, Pluto’s riches, gems, and jewels can be mined from the materials found in the depths of the psyche. 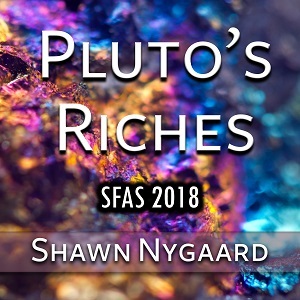 This presentation is an archetypal and astrological look at the symbolism and imagery of Pluto, with a number of chart examples woven throughout. 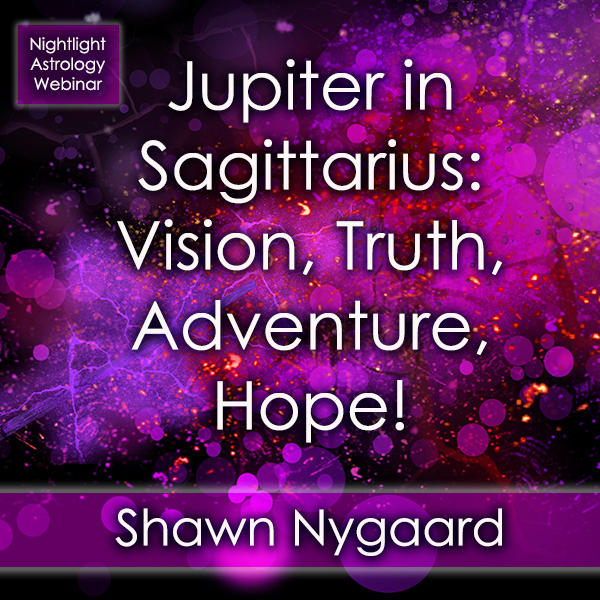 "Jupiter in Sagittarius: Vision, Truth, Adventure, Hope!" Jupiter entering Sagittarius on November 8, 2018, offers a welcome infusion of optimism and fresh perspectives. Jupiter is naturally inclined toward freedom and expanding horizons. As Zeus, king of the gods in Greek mythology, he overthrows the old gods, the Titans. “The turn of fortune in the battle of the Titans was, in fact, caused by the lightning of Zeus,” notes mythologist Karl Kerenyi. Sagittarius is a powerful sign for Jupiter. This talk focuses on how Jupiter functions psychologically and archetypally in the natal chart and by transit. Features numerous chart examples and some history of Jupiter’s transits through Sagittarius. For further information, see link in bio (as always). Jupiter entering Sagittarius on November 8 (the day of this lecture) offers a welcome infusion of optimism and fresh perspectives. Jupiter is naturally inclined toward freedom and expanding horizons. As Zeus, king of the gods in Greek mythology, he overthrows the old gods, the Titans. “The turn of fortune in the battle of the Titans was, in fact, caused by the lightning of Zeus,” notes mythologist Karl Kerenyi. Sagittarius is a powerful sign for Jupiter. This talk focuses on how Jupiter functions psychologically and archetypally in the natal chart and by transit. Features numerous chart examples and some history of Jupiter’s transits through Sagittarius. 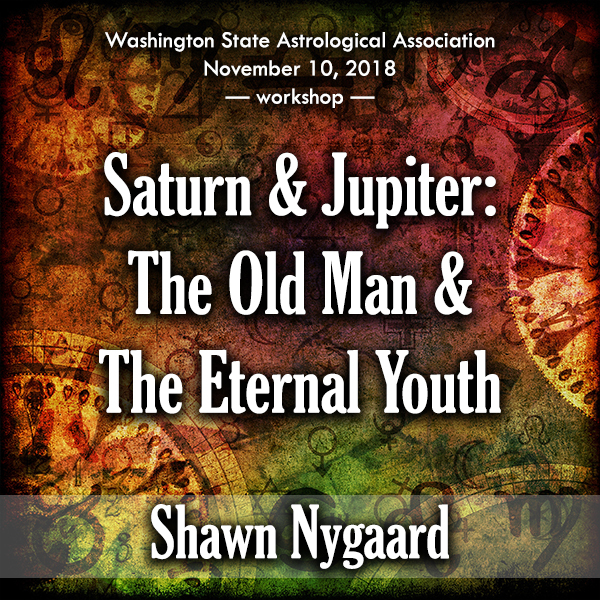 Jupiter in Sagittarius and Saturn in Capricorn together draw out the timeless, archetypal figures of the Puer (Eternal Youth) and the Senex (Old Man, or Father Time). The Puer carries sky-high visions and longings that keep Eternity close at hand, in contrast with the Senex’s earthbound world of Time and mortality. Both are significant energies as we approach an abundance of planets in Capricorn in 2020 and talk in today’s world is of building walls and restricting borders, and dystopias dominate many dreams of the future. In this workshop you will: (1) learn to recognize these archetypal figures and their complex dynamics both in the natal chart and in life; (2) understand why they are important (especially as a pair) and relevant to this period of history; and (3) learn how they operate in human relationships. Includes numerous chart examples, and cultural and psychological references. "The 3rd House: Impressions from the Starry Night"
Hellenistic astrology named the 3rd House "Goddess," referring to that Great Goddess of the night sky, the Moon, whose Joy is in this house. Topics of the 3rd House include communication, early education, siblings, short journeys, and our immediate environment. 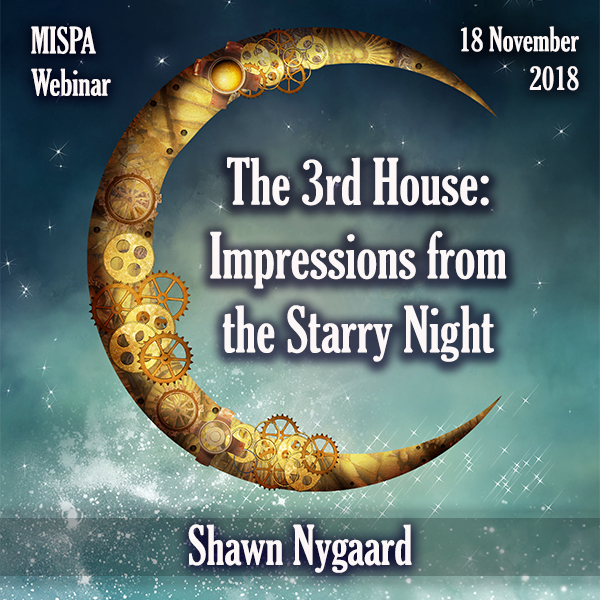 This webinar explores the role of the Moon in helping us understand the 3rd House, its relationship to the mundane world, and the many and varied ways learning and communication styles reveal themselves through planets placed in this house. Posted on August 29, 2018 by Shawn Nygaard.